Kohlrabi is a member of the brassica family and is cousin to vegetables such as cabbage, brussel sprouts and broccoli. Brassica vegetables are so real, you can’t even handle it. They are known for their sulfurous smells and super green taste. Some poor souls are actually turned off by this. What haters might not know is just how versatile the family is. They pickle and ferment like bosses, they can be eaten raw in salads or just as is and they’re loaded with good-for-you fibers and minerals. They also rock any stews and stir fries you might want to try. 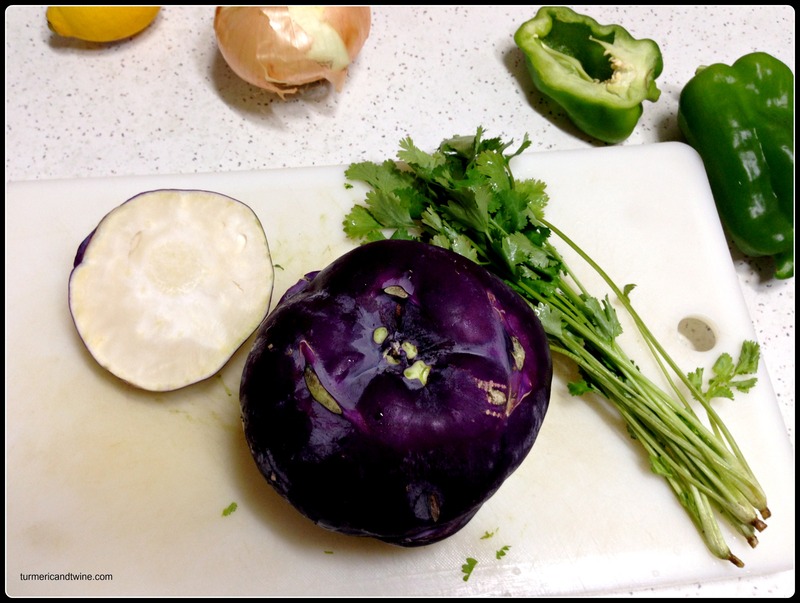 Even though kohlrabi looks a bit like the UFO of the vegetable kingdom on the outside, it actually has a very pleasant and sweet taste. If a sweet broccoli ever existed in prehistoric times, it eventually evolved into the kohlrabi. 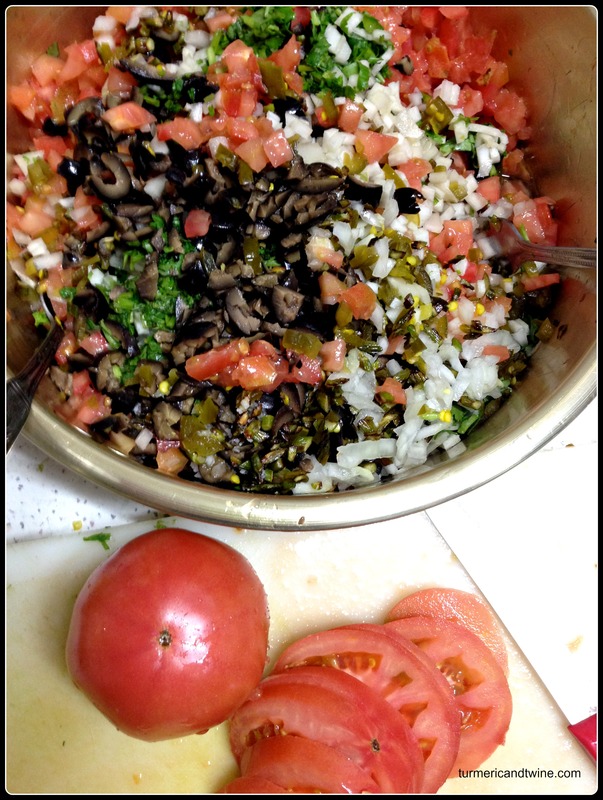 This recipe yields about a gallon of salsa. If you are like me, it will be gone in a few days, but if it is too much for you or your kitchen, use a smaller kohlrabi (or just half) and fewer tomatoes. Adjust measurements for your pleasure. Hang loose. 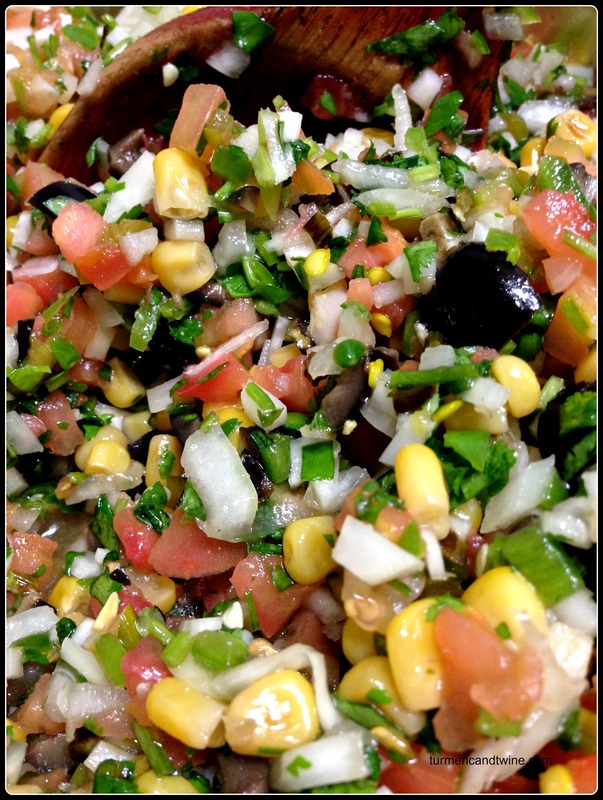 This is a fairly watery salsa. I do not recommend draining it as much of the flavour lies in the liquid. Dip chips for a snack, top on toast with an egg for brunch or just dig in with a spoon. Serves 15-20 and will keep in your fridge for a week, although it probably won’t last long enough to go bad. Enjoy! 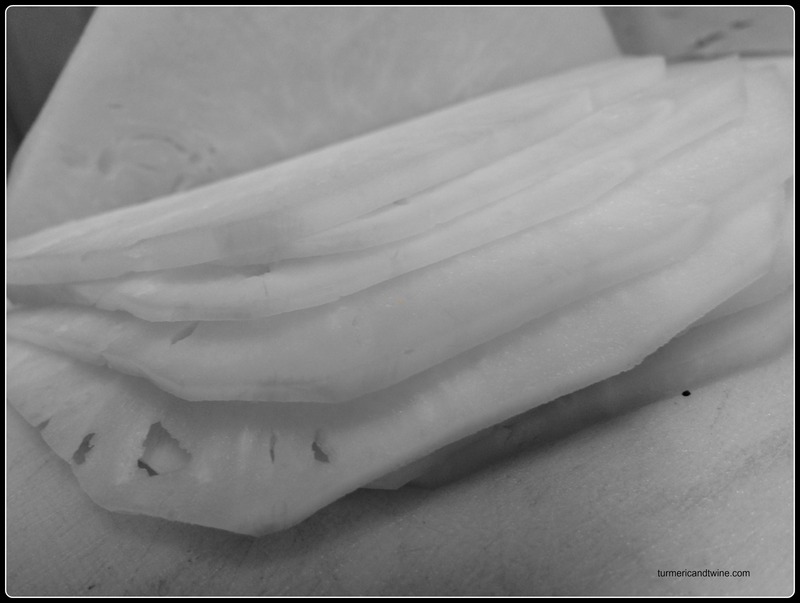 Peel all the skin off the kohlrabi, including the fibrous inner layer, until only the white inside remains. Slice into thin, 5 milimeter slices. Cut the slices into thin sticks and then dice into small pieces. Place the kohlrabi into a large mixing bowl. Open the can of olives and drain most of the water (I added a little into my salsa for flavour). Smash olives with the flat side of knife and chop into rough pieces or you could just crush the whole olives in your hands. Add to the kohlrabi. Drain the can of corn and add to the mix. Add all of the remaining ingredients and mix well. 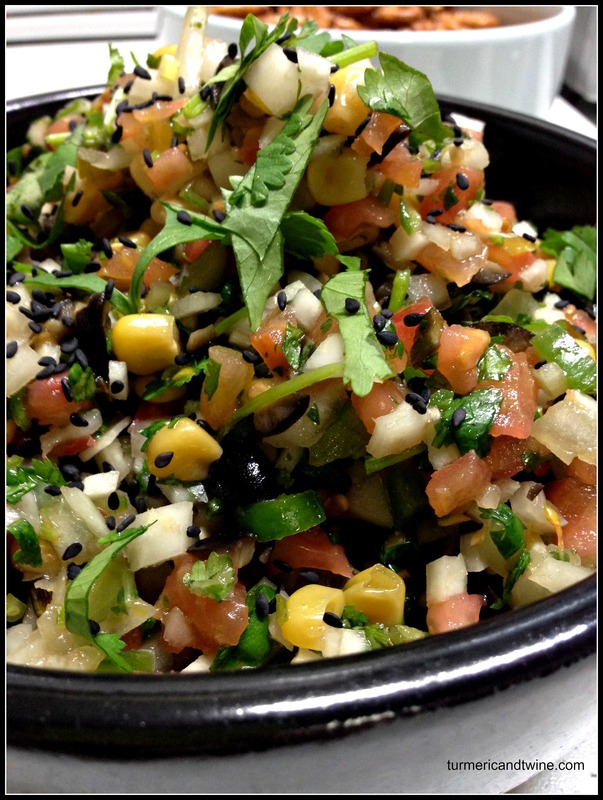 Garnish with cilantro leaves and sesame seeds. Thank you! I’m thrilled to hear that. Tell me what you think!